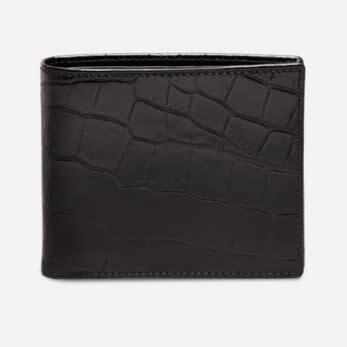 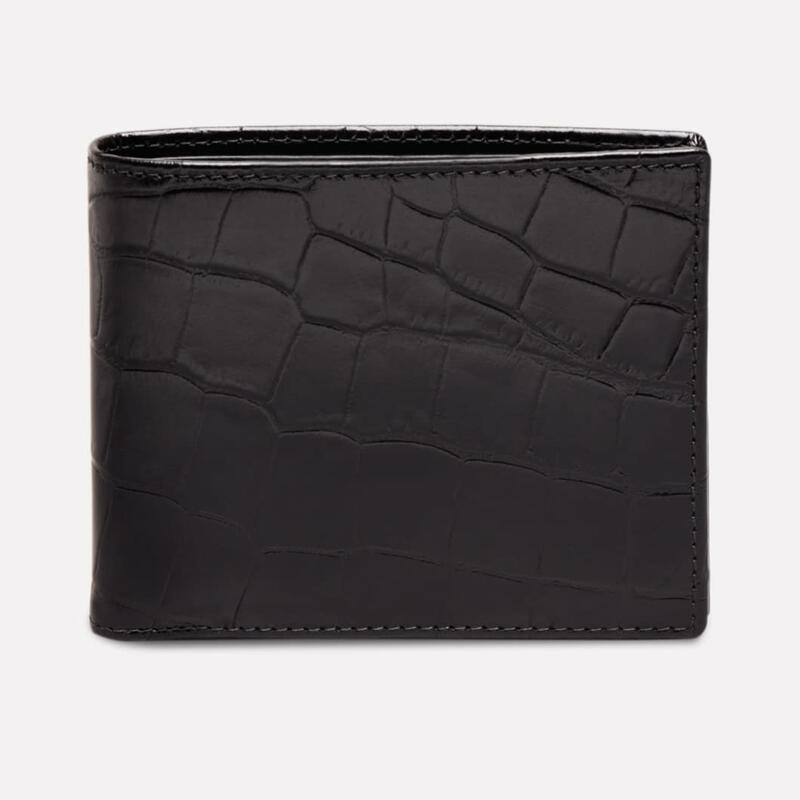 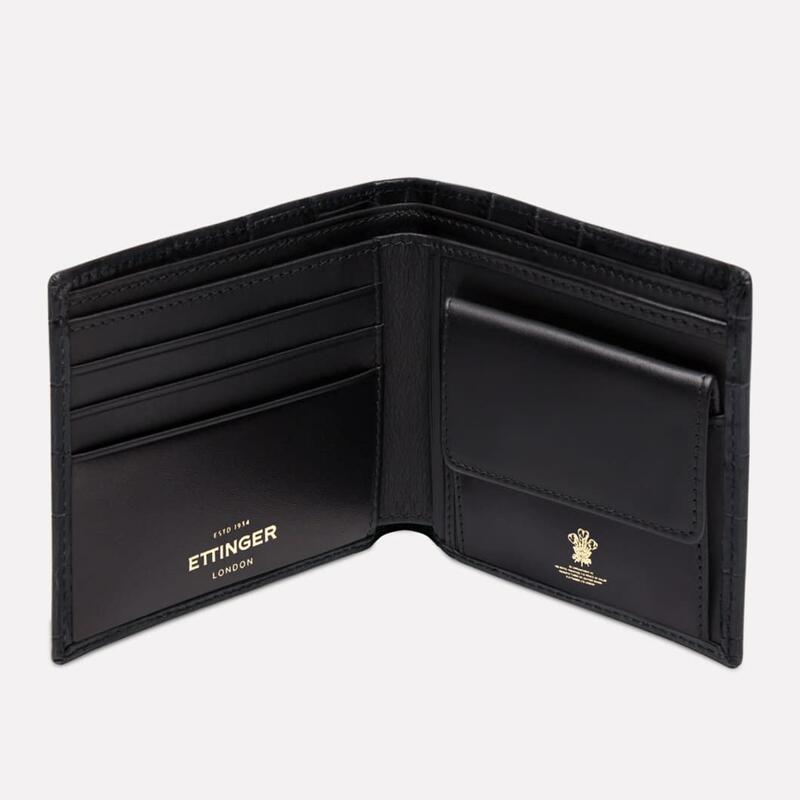 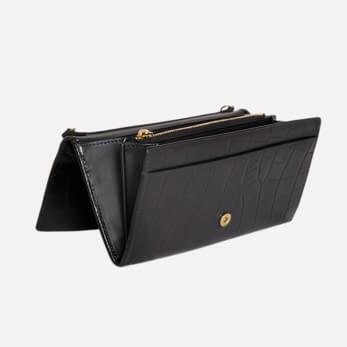 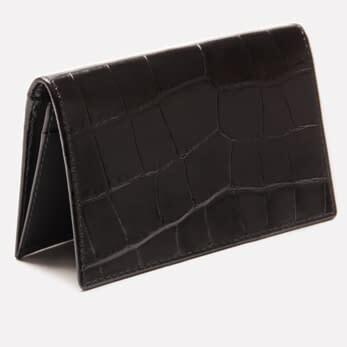 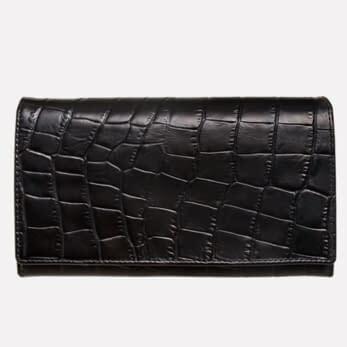 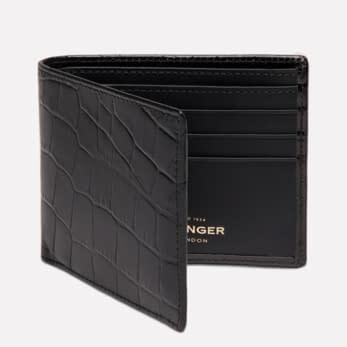 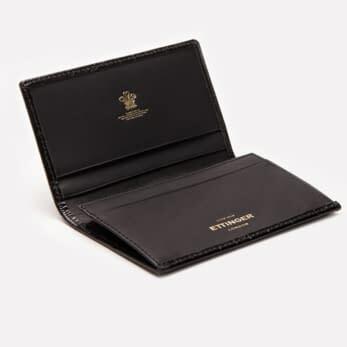 Giving a real sense of adventure and style, this Croco billfold wallet in ebony will sit as comfortably in your khakis as in an elegant linen summer suit. 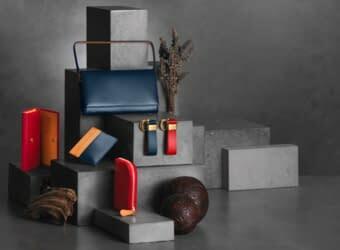 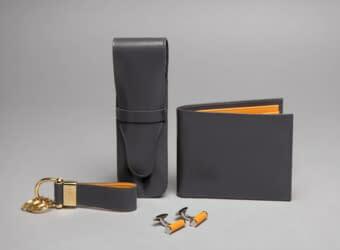 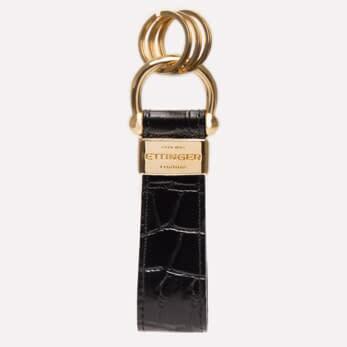 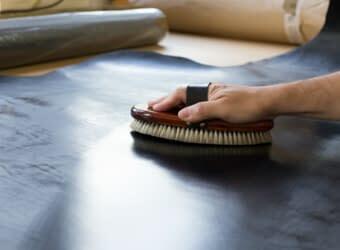 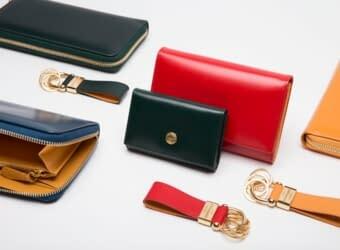 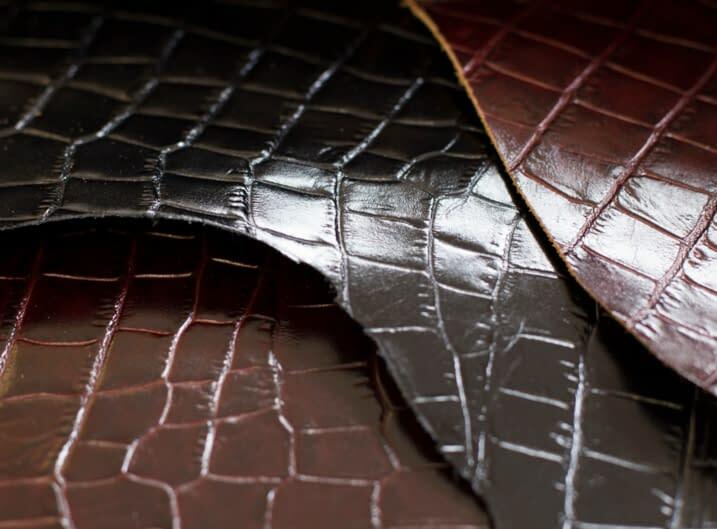 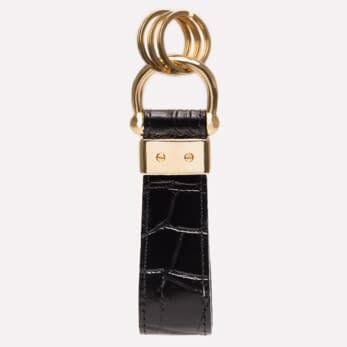 The embossed crocodile print applied on the glazed cow leather is very lifelike, giving this collection an elegant look. 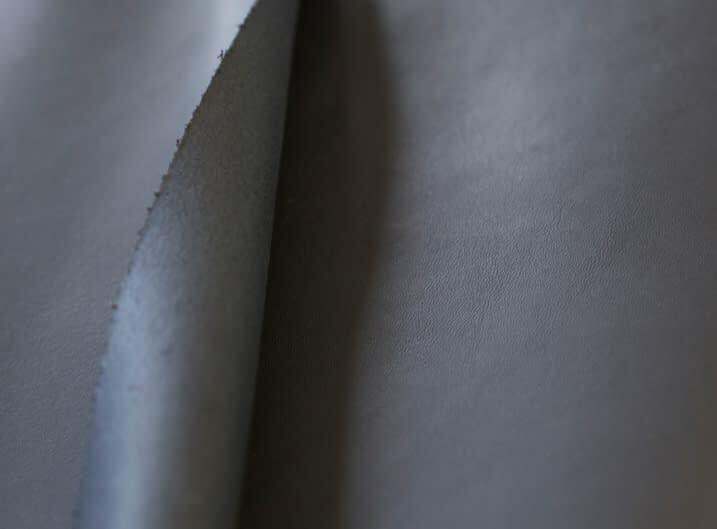 The whole effect is stunning and transports you into African reveries.